Talk about bang for your buck…this is one of the easiest Easter treats I’ve ever made, but also one of the cutest. And the kiddos can totally help. These are made almost like rice krispie treats, except using chow mein noodles instead of rice cereal. 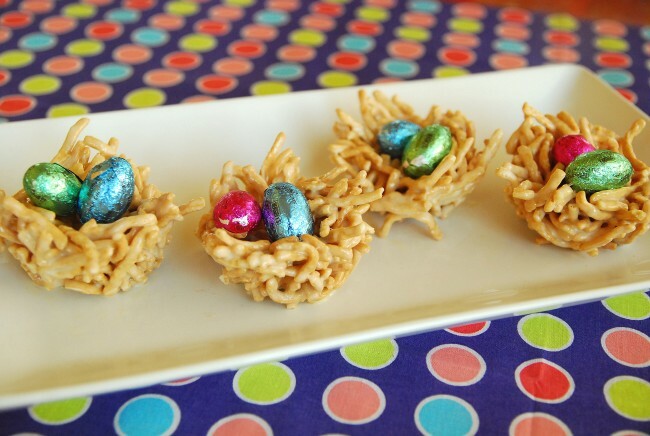 You use your hands to mold the chow mein noodles into nests (with the help of a muffin cup) and then fill them with jelly bean eggs. Super easy. Super cute. Super delicious. What’s not to like? 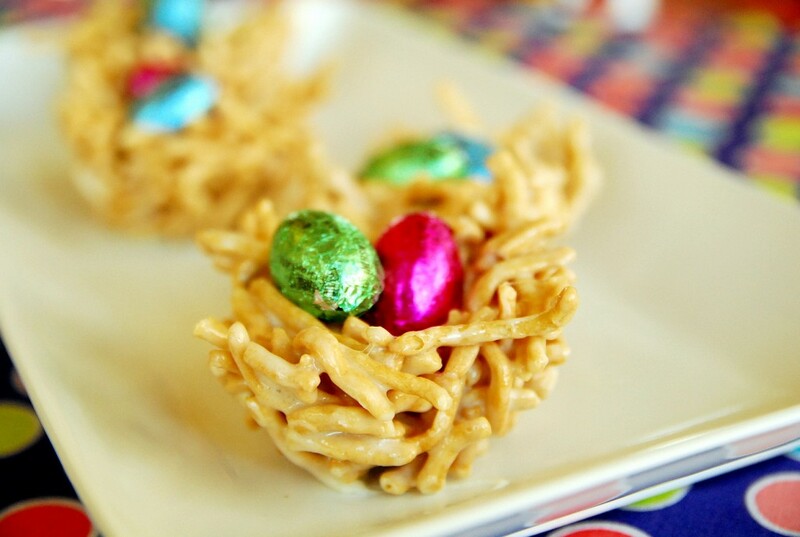 Spoon the coated Chow Mein noodles in each cup, then use your hands to form it into little nests. Spray hands with nonstick spray (repeating as needed -- I had to do it for each cup). Put the pan in freezer for an hour. Pop each nest out using a knife or fork. Place on a lightly buttered serving plate or a plate lined with parchment paper or wax paper so nests won't stick.